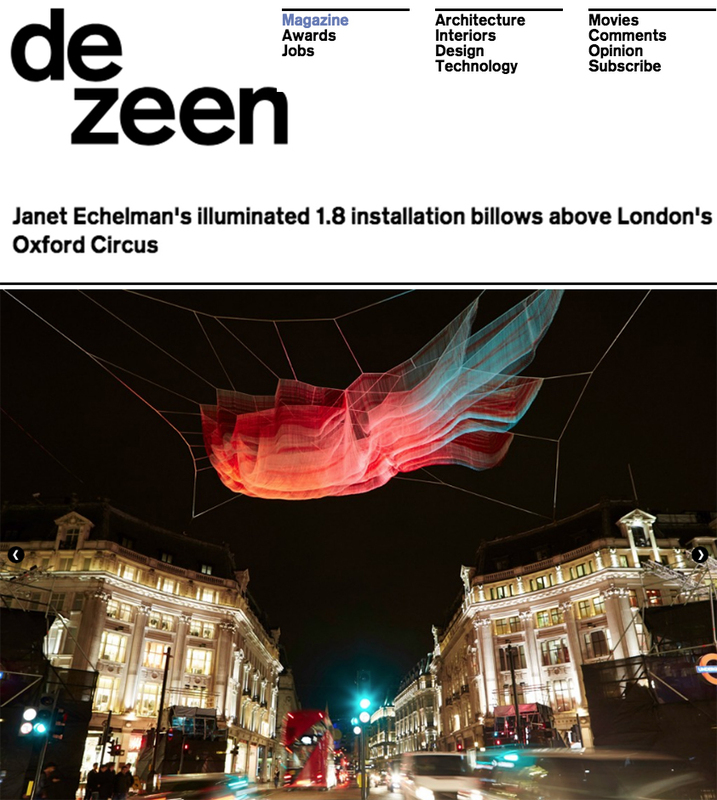 Echelman’s soft, voluminous net sculpture surged 180 feet through the air between buildings above Oxford Circus, the busiest pedestrian area in all of London. 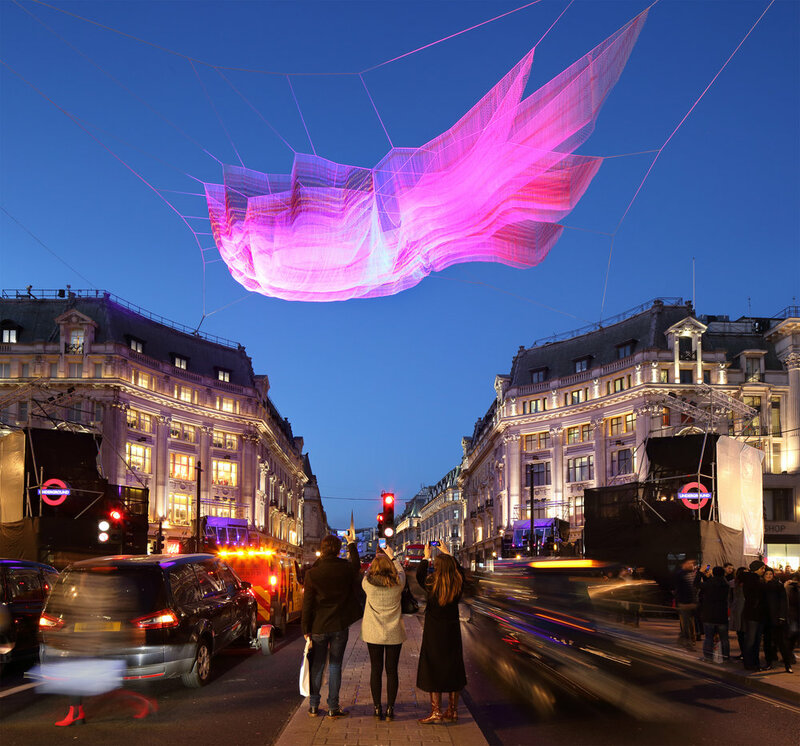 The monumental floating form is composed of layers of fiber, braided and knotted together in vibrant hues that pulse with changing wind and weather to create a choreography of undulating color. At night, the sculpture comes to life with projected colored light. 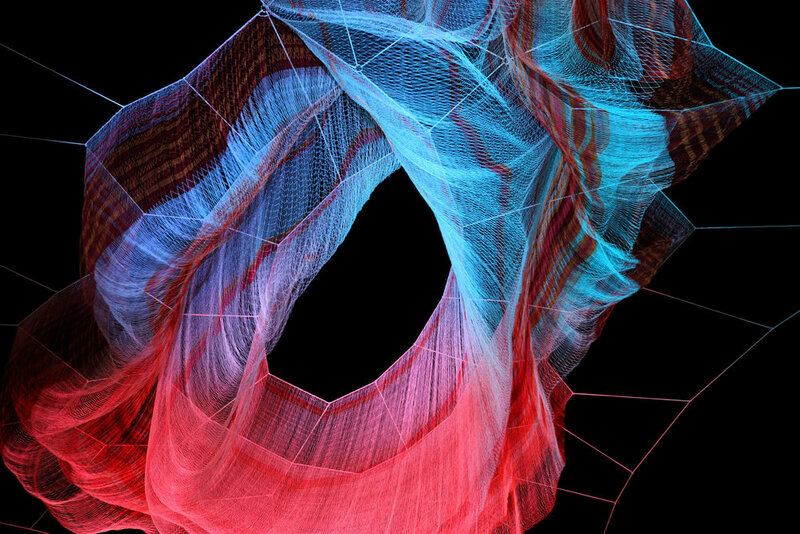 The precise colors and patterns are created interactively with members of the public, who are invited to use their smartphones to select colors and tap out patterns with the touch of a finger. These patterns are projected onto the monumental surface of the sculpture, and proceed to interact with one another, creating ripple effects for all to see. The work’s title is 1.8, referring to the length of time in microseconds that the earth’s day was shortened as a result of a single physical event, the 2011 earthquake and tsunami that emanated from Japan. The sculpture’s form was inspired by data sets of the tsunami’s wave heights rippling across the entire Pacific Ocean. The artwork delves into content related to our complex interdependencies with larger cycles of time and our physical world. 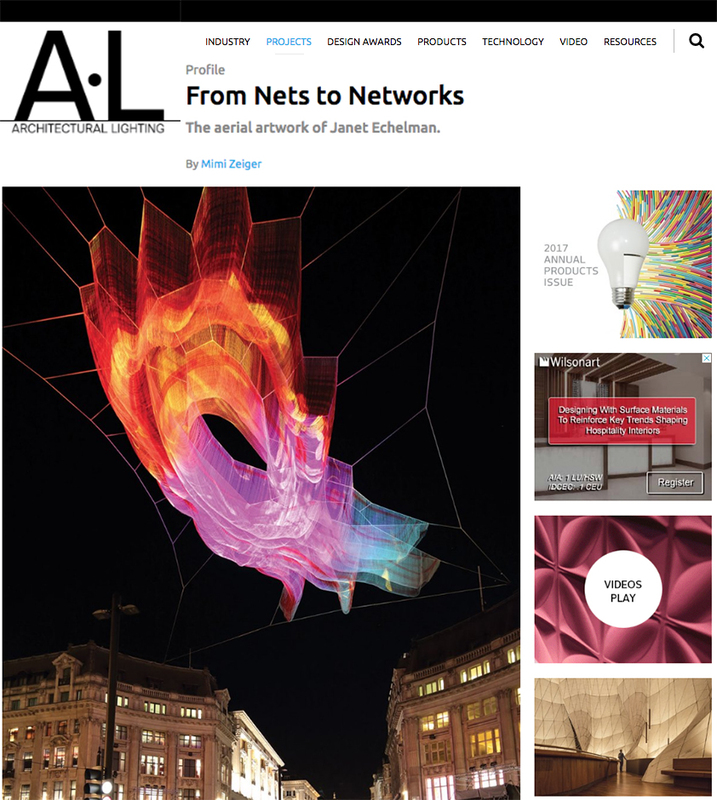 The sculpture’s net structure is a physical manifestation of interconnectedness - when any one element moves, every other element is affected. 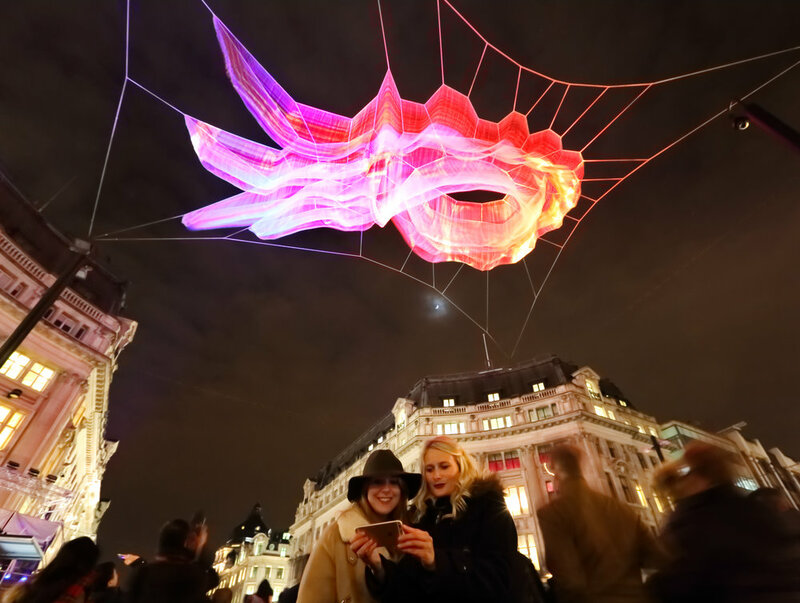 Lightweight and flexible, the sculpture is traveling to other cites around the world after its premiere at Lumiere London 2016, a light festival produced by Artichoke. It is constructed from technical fibers that are 15 times stronger than steel by weight, and custom color blends that Echelman combines with programmed colored light to create the final artwork.